Last evening I was given an incredible gift. 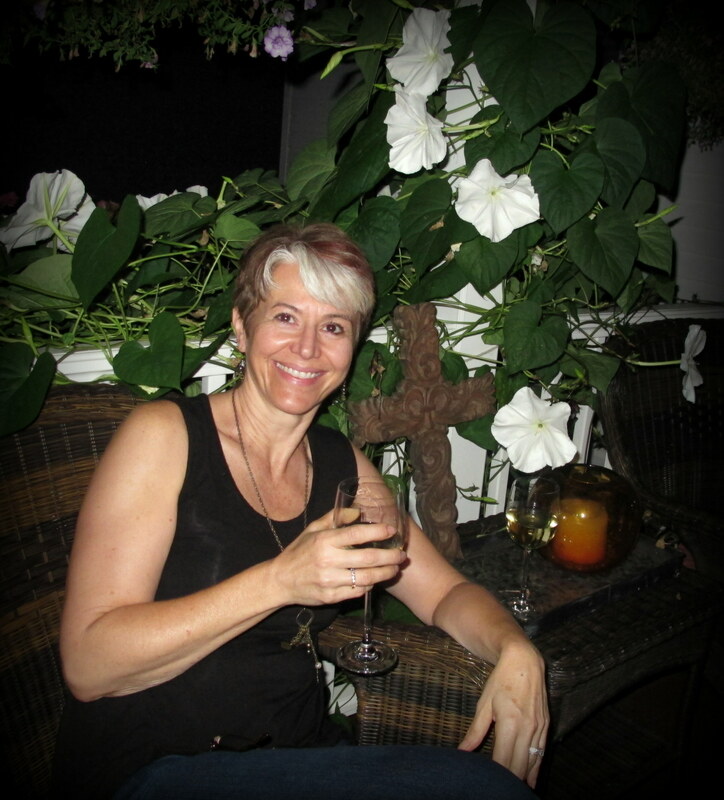 It was a custom-designed treat that touched my heart and lifted my spirit after a rough day. Yesterday was an emotionally challenging day because my granddaughter had the surgery to fix her cleft palate. The anxiety leading up to the surgery and the pain of watching her suffer as she woke up and began her recovery made it a very long and tiring day. I was very thankful that the surgery went well and she was doing well. All in all, it couldn’t have gone better and I was already feeling very thankful and blessed……..
…………then came the unexpected blessing. 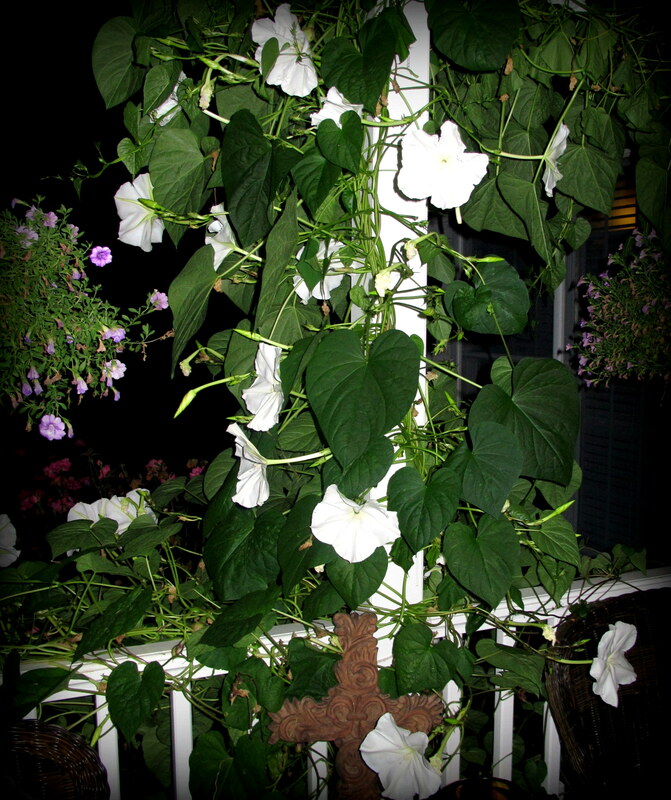 I walked out on my front porch late in the evening and was greeted by the sight and scent of at least 30+ moon flowers. They grow all over the railing of my front porch and vine up to the ceiling as well. 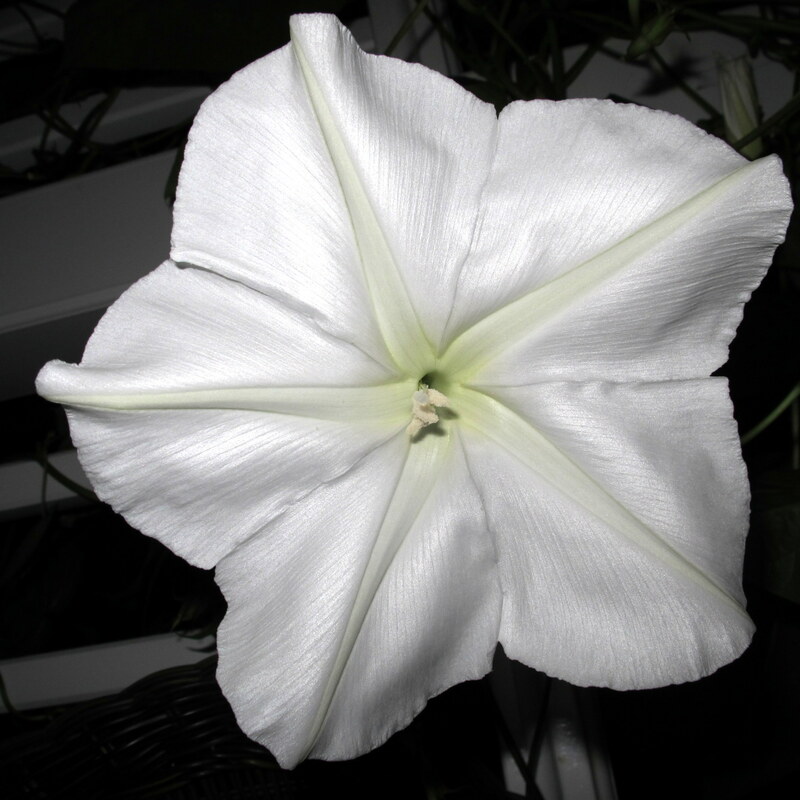 I’ve grown moon flowers for many years and have never had a night with so many blooms. 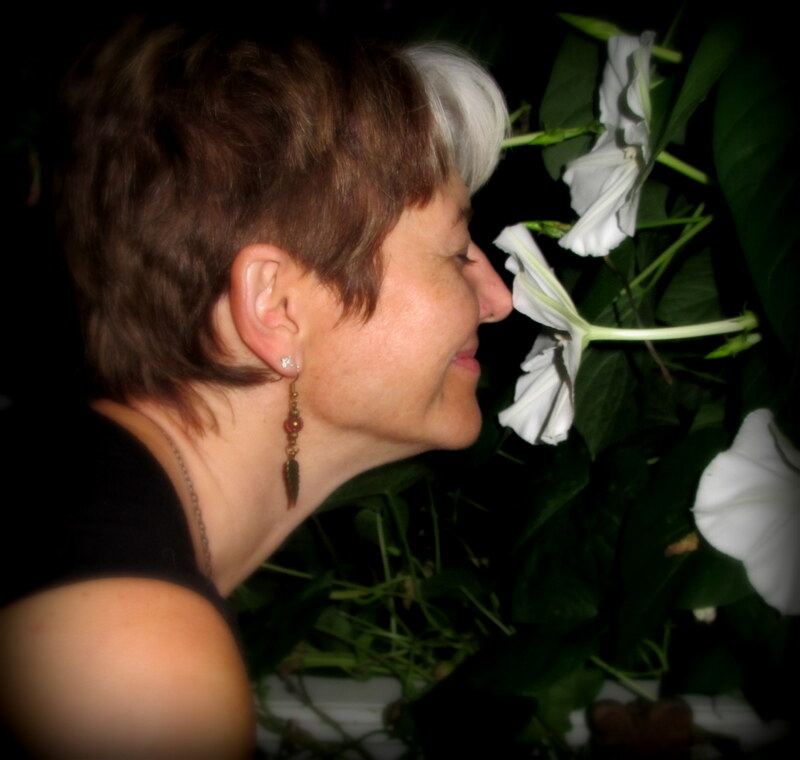 If you haven’t had the pleasure of smelling a moon flower I recommend that you find a way to do so. They have one of the sweetest and unique scents of any flower I’ve ever smelled. They are also incredibly beautiful–so delicate and pure white. 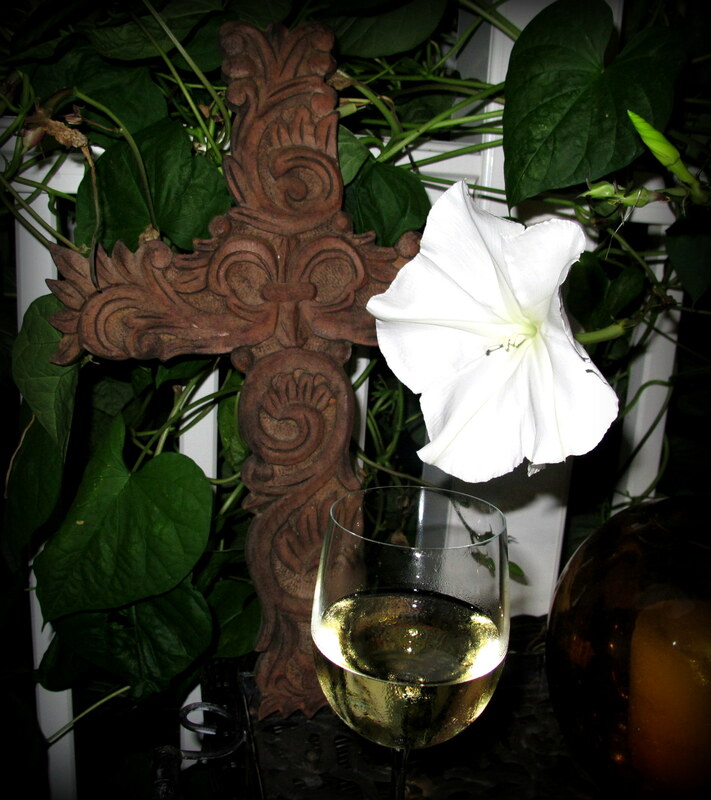 I brought out a glass of wine and simply enjoyed being surrounded by the beauty and the sweet aroma of my favorite flowers. Your ‘gift’ might not be a porch full of moon flowers, but I would encourage you to look for those special little things that occur in your life and recognize them as gifts from above.